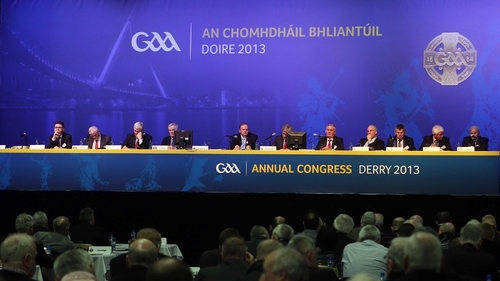 At the GAA Annual Congress, which took place in Derry today, the motion put forward to authorise the use of Croke Park and other stadia in the 2023 or 2027 Rugby World Cups - should either tournament be staged in Ireland - has been passed. Motion 3 was passed with an overwhelming majority, 93-7. Leo Varadkar, Minister for Transport, Tourism and Sport, said of the decosion by congress: "The support of the GAA is a very important element in relation to any future bid by the IRFU to host the Rugby World Cup in Ireland. "I am very pleased that congress has approved this motion to allow the inclusion of Croke Park and other GAA stadiums in the list of venues. This spirit of co-operation is very welcome."